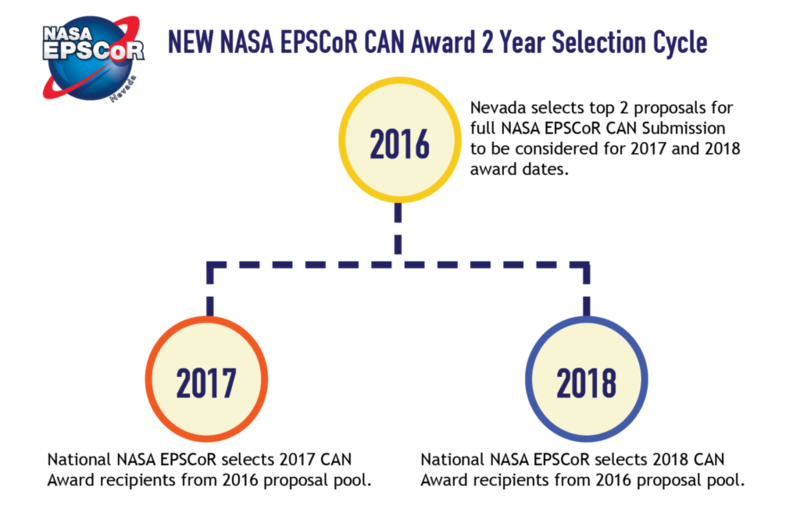 The NASA EPSCoR Research Program Cooperative Agreement Notice (CAN) Awards will be selected on a two year cycle. 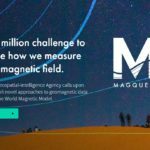 How this will affect you: in 2016, two pre-proposals will be selected by our review panel for full proposal submission to compete for the national NASA EPSCoR CAN awards. 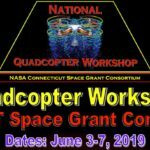 National NASA EPSCoR will then select a subset of those proposals submitted in 2016 by all NASA EPSCoR jurisdictions to be funded in 2017 and a different subset of proposals (from that same 2016 submissions) to be funded in 2018. Please note that this change does not affect the length of the award but rather the proposal selection cycle. However, it does affect the timeline to submit proposals for funding.